Popular stand-up comedian Ian Cognito has passed away after reportedly suffering a heart attack on stage yesterday. 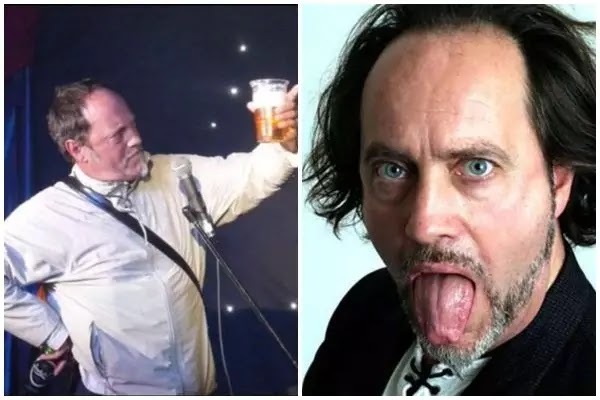 Ian Cognito died on stage while performing at the Lone Wolf Comedy Club in The Atic bar in Bicester on Thursday night. According to BBC, the comic sat on a chair and ‘laid back for five minutes’, with audience members unaware that he had fallen ill, assuming it was part of the act. An ambulance rushed to the venue, where he was pronounced dead at the scene. The audience was asked to leave as the staff performed chest compressions on Cognito. He added that 10 minutes before he sat down, Cognito had joked about having a stroke. Fellow comedians and fans have taken to social media to pay tribute to Cognito, who won the Time Out Award for stand-up comedy in 1999.